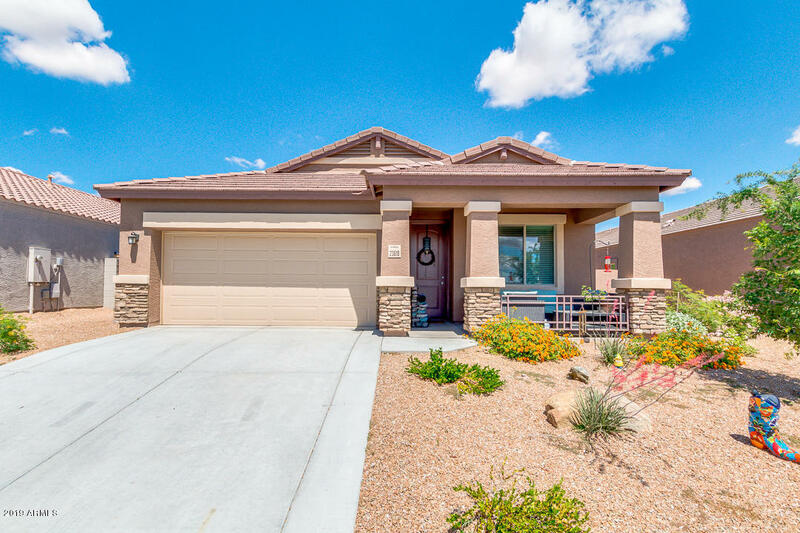 All WATSON ESTATES homes currently listed for sale in Buckeye as of 04/26/2019 are shown below. You can change the search criteria at any time by pressing the 'Change Search' button below. 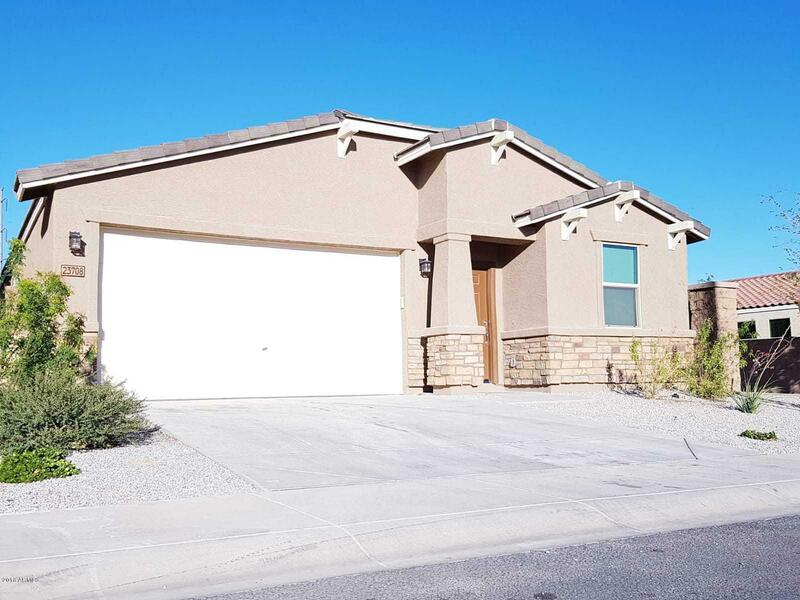 "Great opportunity to own a super clean, 4 bedroom 3 bath home in desirable Watson Estates. Interior features include room for everyone with one bedroom and a full bath down and 3 large bedrooms up including a master suite with huge walk-in closet. The master bath features separate tub, shower and dual sinks. The open kitchen includes BRAND NEW STAINLESS STEEL APPLIANCES, a convenient pantry and a large island with breakfast bar seating. The large living areas right off the kitchen include a dini"
"Beautiful energy efficient 3BR, 2 baths, plus a great room and dining area. 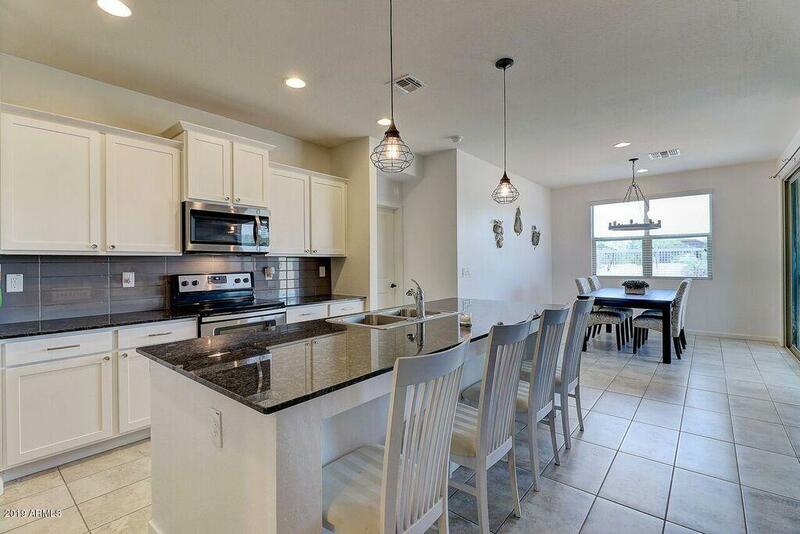 Granite Kitchen Counters, Stainless Steel Appliances, including Refrigerator, Washer and Dryer. Landscaped back yard with a Gazebo and beautiful mountain views. Ceiling fans in all bedrooms plus family room. The home qualifies for Energy Star Version Three, the highest rating that EPA offers." 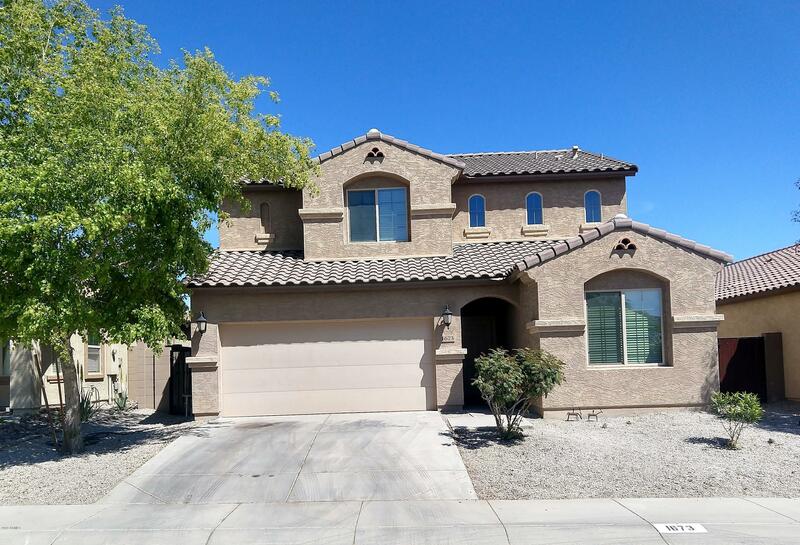 "Absolutely gorgeous residence in Buckeye is now on the market! 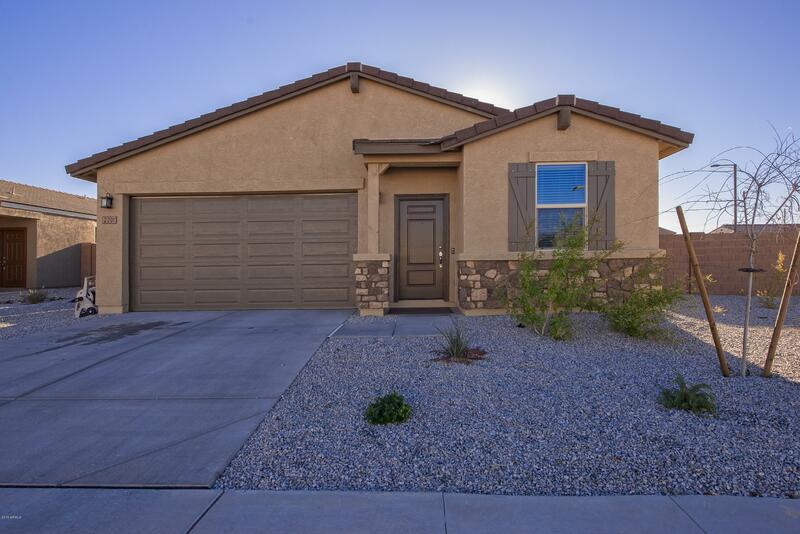 This 4 bedrooms, 2.5 bathrooms offers professionally landscaped front yard, 2 car garage, stone accents, and front covered patio. Step inside to discover neutral colors, tile flooring in high traffic areas, den perfect for an office/living room, and a functional open floor plan that allows tons of natural light & great flow between spaces. Lovely kitchen is accompanied by stainless steel appliances, maple cabinets, granite counterto"
"This is the one you have been waiting for! Barely lived in by one owner and awaiting your finishing touches. Enjoy the OVERSIZED, CORNER LOT, walk-in pantry, beautiful and spacious great-room are all part of this truly functional floor plan. Watson Estates is close to everything and a wonderful place to write the next chapter in your life's book." "Upgraded Home with Improvements over New Build, 3 Bedroom, 2 Bath and Den on Oversize Lot. Gourmet Kitchen with Granite Countertops, Stainless Steel Appliances including Refrigerator, Pantry, Pendent and new LED lighting. Kitchen leads out to Great Room with Vaulted Ceiling and 8ft Sliding Glass Door to Covered Patio. Large Master Bedroom with Walk-in Closet, Master Bathroom has Double Sinks, Separate Soaking Tub and Shower. New LED lighting, Brand New Carpeting, New Fans and New Interior Paint "